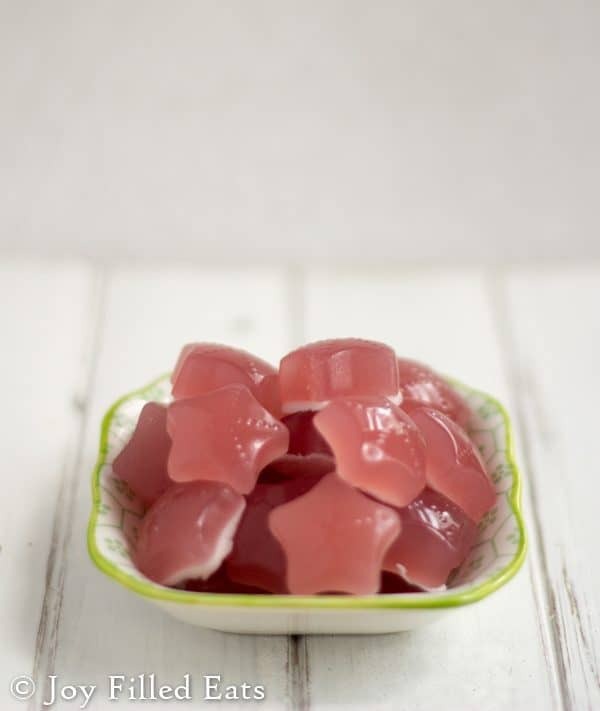 My Three Ingredient Low Carb Gummies will please kids and kids at heart. They are chewy, flavorful, and you can easily customize this recipe to your own preferences. My kids gobble up gummies faster than I can make them. 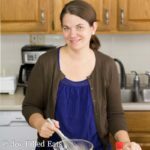 I’ve been thinking about how to cut back on the ingredients and cost and I found a great solution. True Lime and Lemon drink packets. This has the flavor and sweetener all in one. They do have one gram of sugar per packet but each packet makes more than a dozen gummies. 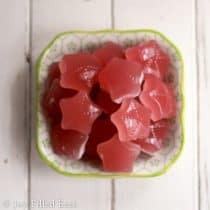 Low carb gummies are a favorite snack in my house. They are basically free food. They are low carb, low fat, and low calorie. In Trim Healthy Mama foods that are low carb and low fat are called fuel pulls. Gummies are one of the best fuel pulls. I also love these drink packets. My kids love them too. Our favorite is the True Lime Watermelon and you better believe I’ll be making gummies out of those soon. I get these True Lime Limeade Black Cherry packets every month in my Amazon Subscribe and Save. They come to $1.76 a box and help me hit my five items needed for the 15% Subscribe and Save discount. Any silicone mold will work. Gummy bears, lego men, hearts, stars? Amazon has all of them. We already sampled a few low carb gummies before I took a pic. This is one batch of this recipe. It makes a ton of gummies. Put the gelatin into a blender. Remove the center spout from the lid and grab a dish towel. Pour the hot water on top of the gelatin. Cover the open hole with a dish towel folded over a bunch of times. The hot water will spurt up. Blend for a minute or two until the gelatin is dissolved. Add the drink packets and blend for another minute. Pour into silicone molds and refrigerate until firm. Put 1/4 cup cold water in the bottom of a medium sized bowl. Sprinkle the gelatin on top. Let sit for 5 minutes. Pour 1 3/4 cup boiling water over the bloomed gelatin. Whisk until the gelatin dissolves. Add the drink packets and whisk until smooth. 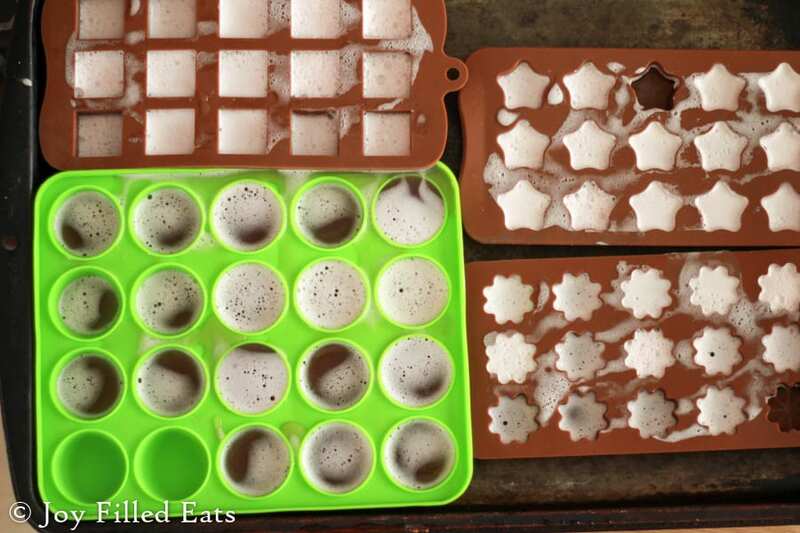 Pour into silicone molds and refrigerate until firm. They keep a couple weeks in the fridge. This looks so good! It would be fun to make with kids! How much gelatin would I use to make jello? Is it better to get the limeade or true lime and add stevia? I'd use half the amount listed. I haven't tried making these with true lime. It should work but I don't know how much you would use. Oh my gosh! I'm an adult, my children are grown, there are no kids here. I wanted something for dessert that would be a little sweet, light and low carb. These are GENIUS! Thank you! Thank you! Thank you!!! I can't wait to try these. I use the true lime cherry thingy in my GGMS everyday and my kids are always wanting those. Do you think I could use some acv swapped with some of the water to give it an added health benefit? I think so. As far as I know, the acid in the vinegar wouldn't hinder the gelatin from setting. 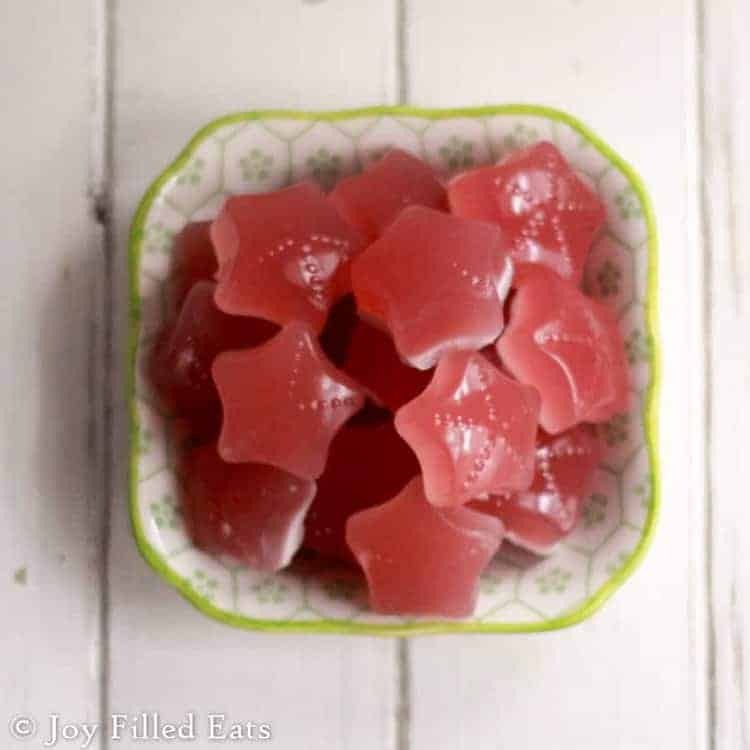 Any ideas on how to make cinnamon gummies? These gummies are so cute and I love how easy it is to change up flavors. My kids are going to help me with this project since they will love making them and seeing how they come out of the molds! These were fantastic - I love how easy they were to make the kids helped me make some Lego sets which they enjoy taking in the lunch boxes to school. I made them using ratio of 1 cup close to boiling water, 4 TBSP gelatin and 3 (3 gram) packets. The flavor, sweetness and firmness came out great! Used black cherry (liked that best of all), watermelon and peach lemonade. Thanks so much for the recipe! I would give this recipe a freaking one hundred stars! It is so quick and so super easy to make! I need gelatin to get relief from joint pain especially in my hands! I make these and I put them in my hot tea! I know its crazy but I love the lemon flavor and the sweetness it gives my tea and I love the relief it gives my joints! Thanks so much for this recipe! You have helped me in so many ways! I don't have molds. Could I poor into a glass or metal pan and cut them after they've set? They are more chewy than jello but less chewy than a store bought gummy bear. You can always add more gelatin to make them chewier but you end up being able to taste the gelatin. It's a fine balance. I made these and they were really good - but is there a way to reduce the amount of foam on the back? Some of my gummies were mostly foam. Thanks for your help! You could just whisk by hand. Blending them does create more foam. That will vary depending on the size of your gummy mold. These have very few calories, etc. so you could really eat them all if you wanted to. How much THM Gelatin would I use? You need a little bit more. The knox is stronger. Do you store these in the refrigerator or the pantry? How long do they keep usually? At least two weeks. I had some get moldy in the back of the fridge once but that was after months. The container fell down the back. Lol. These were so good! I cannot believe how easy it was to make them. The whole process took 10 minutes. 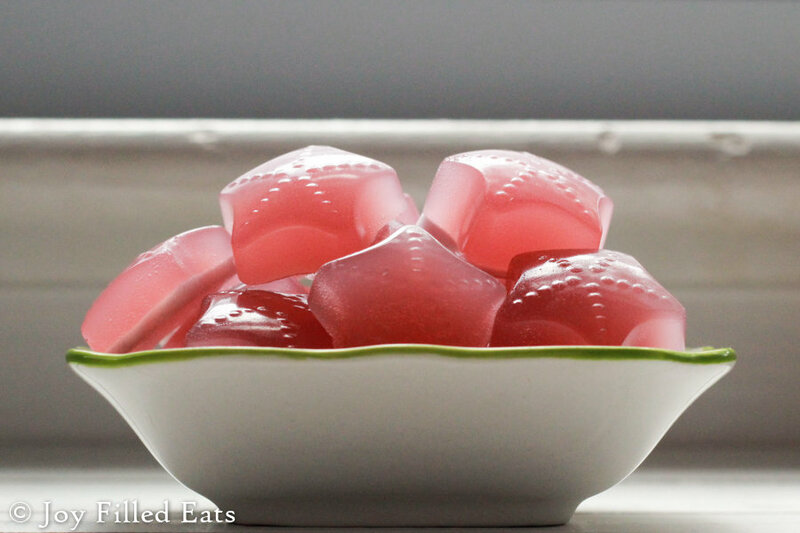 I prefer my gummies to quite firm so I used 12 packets of gelatin. (3 boxes). I also will use an extra drink packet or two for more flavor. Other than that, amazing and cheap healthy snack! I bought True Lime Limeade (watermelon and black cherry flavors) today for the first time, and I have two different size packets--3 gram packets and 12 gram packets. Which size did you use in this recipe? Thank you. I used the smaller 3 gram packets. Is it possible to make these without a blender? Is it really necessary? Yup. Just whisk like crazy until the gelatin dissolves. I have a ton of the true lime and lemon packets and would love to make more, but my packets don't have any additional flavoring. I thought maybe rasberry extract, but was afraid to put much in. Therefore, little to no flavoring. Do you have a suggestion on what I could add? I love the wasy recipe! Are these the Lemonade and Limeade packets with sweetener? Or just the lemon and lime ones? You need the ones with sweetener or you will have to add your own. What could you add to these to make them a healthy thing? Looks like they're just a treat at the moment. I just poured it into the molds anyway. They mostly dissipated in the fridge while they set. That is why the bottom of the gummy looks whitish. From the bubbles. How long do these keep? And do they need to be refridgerated? A couple weeks, and yes. Can they be sent to school without an ice pack? I think so. I don't think they'd melt that quickly unless it's very hot where you live. I don't quite understand the bit about the towel and the blender. Why was this done? You need to vent the steam since you are blending hot liquid. The liquid with explode if you don't. What size flavor packets are used? The tru lime and tru lemon drinks come in single serve packets And the big 2qt packets. I've never seen the 2qt packets. I just used the single serve. You need enough to flavor two cups of water so the 2qt packets would be way too much. OK...you're making me want to try gummies again. My one attempt was pitiful. They wouldn't release from the mold easily, so I placed the tray in water to loosen up. This caused my gummies to start liquifying and I ended up with some melty, misshapen pieces of warm jello. Maybe I should spray my mold with baking spray and use more gelatin. I know I didn't use as much as your recipe calls for. Any thoughts? Definitely more gelatin. Is your mold silicone? Mine always release really easily and I never spray them. What's the easiest way to get them out of the mold? They pop out of silicone molds very easily. You just invert each section and they come right out.